Cometh the hour, cometh the woman. It took the advent of feminism and post-colonialism to bring Frida Kahlo (1907-54) centre stage. 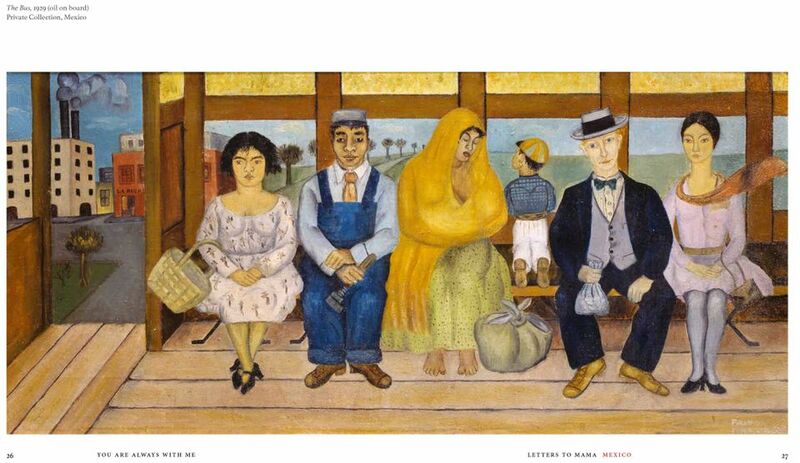 Previously Diego Rivera (1886-1957), already a famous artist when the couple met in 1928 and who became her husband a year later, completely overshadowed her work (Frida and Diego, in 1931). One may wonder, however, if, in a way not dissimilar to her contemporary look-alike, Tracey Emin, it is the case that it is her tumultuous life more than her folkish and naive art that has made her famous. These 54 letters, written from the ages of 16 to 25 to her mother until the latter's death, give no indication of a lively or enquiring mind, but are mostly taken up with the mediocrities of daily life that children dutifully report to their parents.